We each run our businesses differently. As a business owner you find yourself needing a broad range of skills just to keep up and that, I’m afraid, is never going to change. It’s part of the fun. One thing you learn fast is that actually, you can’t do it all but it can be hard to let go of control. I run this business as well as MYTHYN.com, a small maker-run business borne out of my passion for luxurious and natural beauty. I prefer to have the pick of any expertise with flexibility which makes outsourcing the best solution for me. You know this better than anyone: running your own business(es) is amazing but it can get overwhelming. You have been running your business on your own from the beginning. As time goes on you find yourself with less and less time to innovate, invest in your business growth, do the “fun stuff” or even take a break. You are doing everything and that’s too much. I know how you feel – no one else knows how to do this for you. Too true. No one knows your vision like you do. No one can deliver it for you. However, to be able to make this vision happen you are going to need to focus on your strengths and learn to delegate the parts you’re not so good at. Others can’t grow your business for you, but the right system and the right support will make it possible for you to do your thing. Lucky for me, marketing, technology, and branding are some of my key business strengths. I’m able to learn more about these topics and grow these skills faster than the average. I enjoy it so it’s never a chore. Unluckily for me, the legal and accounting side of things really are not my strengths. I know that so I’ve learned what I needed to and I outsource the rest of this work. I’m commercially driven so these are very important aspects to me and my businesses. With that in mind, I make sure I know enough to be able to outsource this effectively to the right service, and that I get the best service, but that is it. This way I do not waste my time and I can focus on my strengths and on my vision. Imagine if you were able to trust someone with those tasks that, while necessary, require a lot of short-burst input daily, weekly or monthly, and distract you from those big projects you’ve been dying to complete. Imagine if, for those big projects, you could just get out of your own head & have that supportive & knowledgeable help you need to turn a DIY business into pro in half the time. Imagine that producing this work was not filled with technological stumbling blocks. Imagine that your work was easier to find, access, and enjoy by your ideal clients. I’m willing to bet that if you set up your business by yourself, then productivity is pretty high on your list of priorities. I’ll wager that you are productive when you are tapping into your strengths. I’m certain you could achieve greater business growth, fulfillment, and enjoyment of your work. So… what is stopping you? I feel that I can do most of this myself already, so why outsource? How long will it take you to do it to a level where you feel satisfied? Will you deliver to a professional level or to an amateur level? What else could you have achieved in that time? Compare your ROI (return on investment) on the two options. My business isn’t successful enough yet to outsource work. Building on the first objection, this one is tricky. I get you on this point and the only way to make a decision on this is to decide whether continuing as you are will give you the success you need. Reaching the next step is always going to feel uncomfortable. It should feel uncomfortable otherwise you are not heading for growth. It should feel like the right investment, and it should be measurable. If you don’t know for sure then start small to minimize your risk. 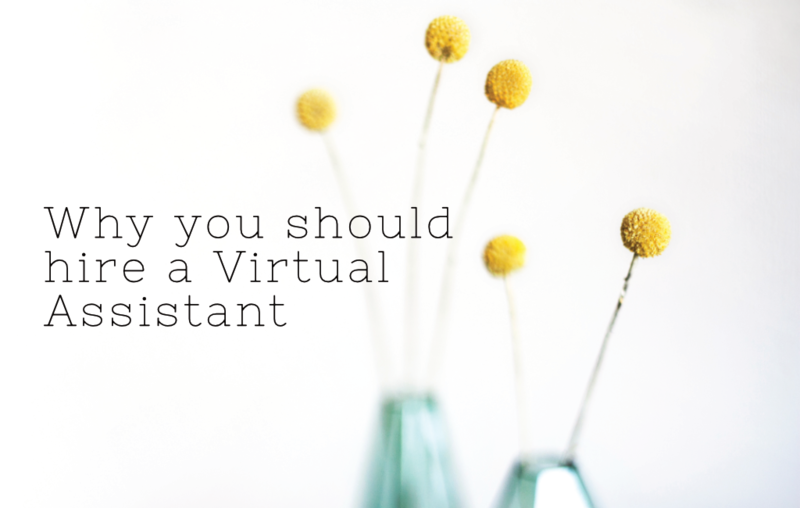 A virtual assistant can help you for a specific amount of time or a specific project you need now only. If you try it out and the investment proves too much of a strain your risk is tiny and you’ll know for sure what your ROI needs to look like to do this again. If it works, you will be able to focus on what you do best going forward and grow your business faster. Why hire a virtual assistant when I can hire an employee? You want to work flexibly with experts who can help you specifically with your current objectives. You want to reduce your costs. Hiring an employee means covering tax, national insurance, sick leave, holidays, pension, software licenses, insurance, data protection, equipment, etc. You and your employees are wearing multiple hats. You want to give them the help they need to help them perform in their core role. You may, or may not be ready to make the investment. If you are considering it, there are some things to take into account when looking for the right help. When you choose to go from doing it all on your own to working with someone, you’ll find out that it makes you more accountable. You will need to be able to communicate your vision, how you are working towards it, your strengths and weaknesses. You’ll need to explain what it is that you wish to achieve. And once you know and are able to articulate these points, hiring the right help will be much easier. You need to know enough that you can tell whether you are making the right decision. The right decision when outsourcing is one which matches your goals and working style. On a practical note, the right decision when hiring a VA also includes signing a contract which protects both parties. Your VA should be clear on what they can deliver for you, how they do it and what they will need from you to deliver their services. I hope this has been helpful. I love helping small business owners put marketing & technology to their advantage so if you’re not enjoying that part of your biz, work with me. Hey & Welcome! 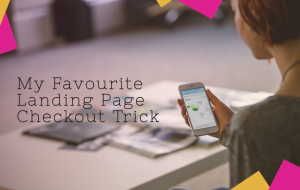 I design e-commerce, membership & services websites for clients on a daily basis and this blog is full of my best tips. Share if I've helped & if any questions, leave a comment!